We have just spent two weeks at this seaside rental. ,Our cottage faced the sea with an outdoor kitchen and dining area. The bedroom with double bed had air conditioning that we never used as the trade winds kept us comfortable at night. Kitchen was well equipped and we cooked here nightly. Only draw back we came across was lack of hot water. I know being solar and having several rainy days was the cause and we compensated for this by showering in the afternoon when water is warmest. 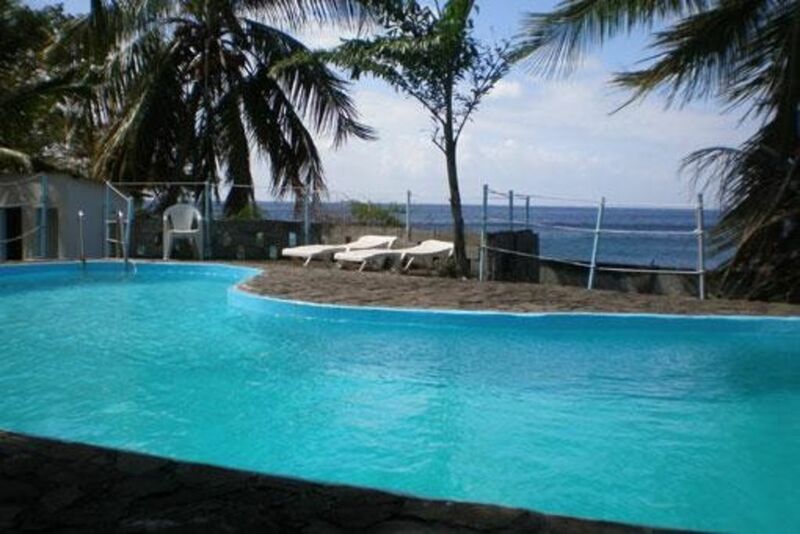 Swimming pool is kept clean, snorkeling is good out front and watching ships sailing into port a plus. I would return and tell friends the owner does a great job, is friendly, keeps the place clean and is easy to work with. She even sent her daughter to meet us so we would not get lost as it is down a small side road. It well worth coming to if you seek a fantastic Martinique holiday..